Get Started in Structured Cabling Design! With services ranging from credentials and training, to BICSI codes and standards, it's easy to get started in the telecommunications industry! 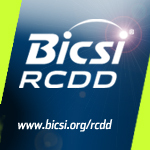 BICSI provides the training you need for voice and data cabling, designing telecommunications systems, grounding and protection fundamentals and more! A PhoneTree system saves you time and ensures your message gets through. All to make staying connected to those important people a little easier for you.